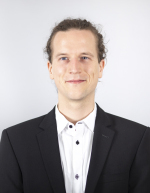 Nils May is a research associate in the DIW's Climate Policy department. In his research, he focuses on analyses regarding the transformation towards a carbon-neutral energy future. In his PhD, he analyzed the financing and integration of renewable energies as well as optimal policy design. Previously, he studied in Bergen (Norway), Berkeley (USA), Ludwigshafen (Germany) and Shanghai (China) and worked for IT-company SAP.